Just a little post to say thank you, again, for the baby gifts I’ve received. 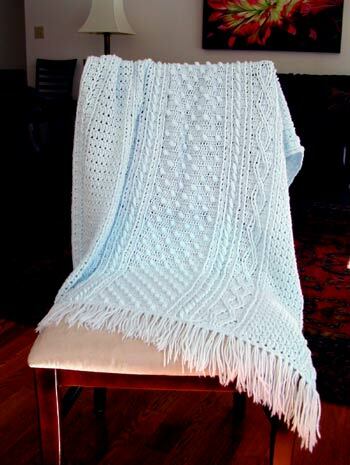 Julie crocheted this beautiful afghan for us. I adore the various vertical stitch patterns. I was amazed to read her post and find that, in two of the panels, she had duplicated the stitch in my favorite afghan simply by looking at the photo I posted. Most impressive! Thank you, Julie, for this gorgeous work with so much love put into it! Mary Jo (Tampa Doll at Crochetville) crocheted a cute baby supply train and a very intricate doll. The train has a tissue engine, cotton swab car, cotton ball and bath duckie car, and safety pin caboose. The bath duckie has an indicator on his bottom that helps you know when the water is too hot. 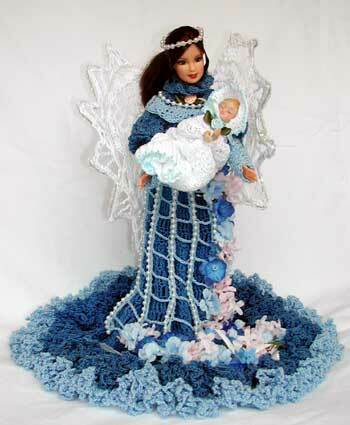 The doll is called the Blueberry Belle Guardian Angel. 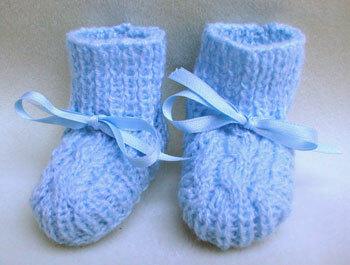 Thank you, Mary Jo for all of the crochet hours and love that I know went into these gifts! Thank you all for you thoughtfulness and generosity! Just shows how much people love you. The train is especially nice. Looks like it would have been fun to make too! What thoughtful gifts. They are a so beautiful and precious. Great job ladies!